With a new console on the horizon, Nintendo introduces a bargain Wii bundle complete with both Wii Sports titles. In a move almost certainly designed to clear out some old stock in anticipation of its Wii U console debut, Nintendo just cut the price of the standard Wii from $149.99 to $129.99. 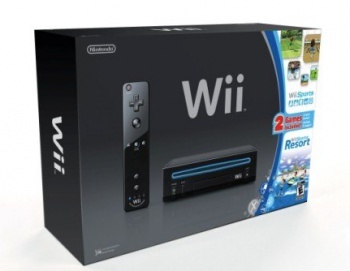 In addition to the price drop, the company is introducing a new Wii bundle that features a black Wii console, one controller, and a game disc that includes both Wii Sports and Wii Sports Resort. Bringing the console $20 closer to the bargain basement $99 price point is great for those who haven't yet bought a Wii for their own homes. But given that the two included Nintendo titles are made for multiplayer fun, expect to shell out another $39.99 for a second Wii Remote Plus in order to really enjoy what the package has to offer. As the best selling Nintendo home console of all time, the Wii will likely have a healthy life even after the Wii U hits store shelves. Cutting the price just before the biggest shopping season of the year will certainly help that, and it's going to be rather interesting to see how the sales numbers for a 6-year-old piece of hardware stack up to the new Wii U hotness. Will consumers that skipped a purchase on the Wii be willing to put a $299.99 Wii U on their gift giving list this year, or will Nintendo's last-gen box see new life? We won't have to wait very long to find out.